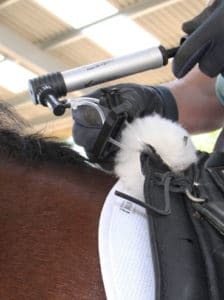 Adjusting Korrector™ takes only a few minutes but we recommend that if you are using the system for the first time you ask someone to hold your horse whilst you familiarize yourself with the fitting process. Attach the saddlecloth to the saddle by pushing the gullet locking plate up into the saddle’s gullet and rotating it through 90o, so the plate lies between the top of the saddle’s panels and the tree/seat. Place the saddle and with the attached saddlecloth on the horse in the normal way, girth up and mount. 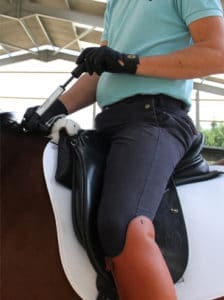 Do not tighten the girth at this stage else any adjustment made not effect the saddle but just make the girth even tighter! 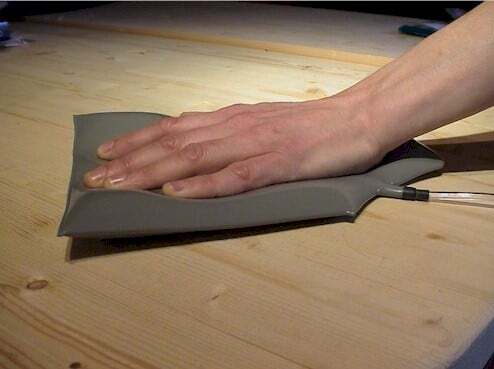 Remove the pipes from the saddlecloth pocket. The pipes are positioned according to placement in the Korrector. For example front pipe for front air bag. Using the pump inflate the front bags to achieve the desired fit. If you need to remove air from the bags first remove the pump from the valve and then depress the small pin in the valve inlet with your nail. When you are satisfied with the fit, clamp both pipes with the sealing clips. When the pipes are clamped you can remove the valve and replace the pipe caps without loss of air. Tip Count the number of pumps you use it will help you gauge any differences your horse has between adjustments. Repeat the process for the back bags (BR & BL) if you are using them in the saddlecloth. 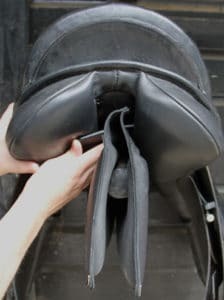 Inflate the back bags until you are sitting straight and centered in the saddle neither tipped forward or back. Most horses lift through their backs to the greatest extent when at trot. Accordingly, you will get the greatest benefit if you can find the optimum position for yourself at trot. To do this experiment by adding air gradually, 2 – 4 pumps at a time and then riding at sitting or rising trot. You will soon notice the difference in your balance. Find the inflation that allows you to relax with the saddle supporting you and your feet stable under your center of balance. This will really help your riding and the horses performance. Balance is important in all disciplines not just dressage. 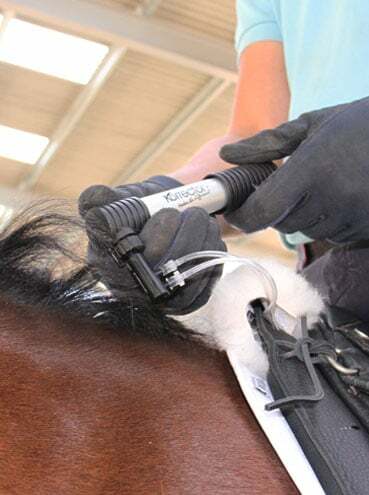 If you count the number of pumps used you can set Korrector™ up very quickly off the horse! 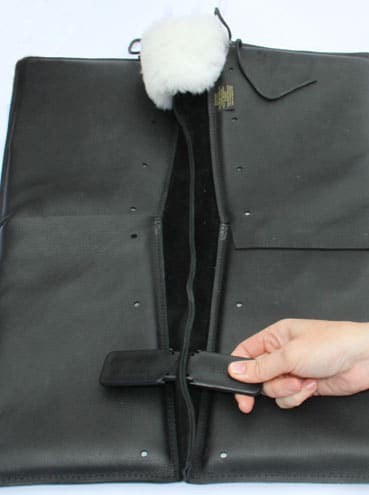 If you wish to inflate a single air bag more than its’ pair, use one of the sealing clips to clamp closed the pipe of the bag that you do not wish to inflate. 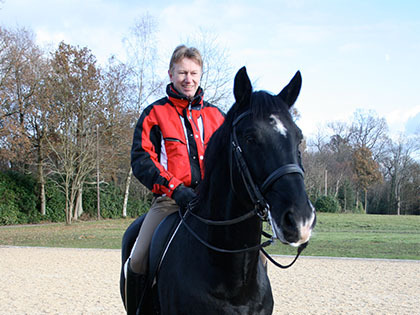 Asymmetric adjustment is useful for balancing the saddle for an asymmetric horse and or a crooked rider. For the rider, always inflate the side the rider sits heaviest on or feels that they fall towards. The horse normally requires adjustment of a front bag in conjunction with the opposite back bag. It is not necessary to inflate the front and back air bags to the same degree. The air bags should not be inflated so that they are bouncy or hard. 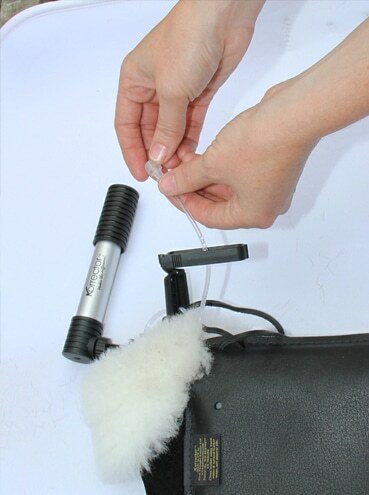 If you find that you have to inflate to this extent to make the saddle fit, the system will not work. If you are using the pad for its’ shock absorbent properties and your saddle fits, it is suggested that you will find the optimum inflation to be between 12-24 full pumps using the pump supplied i.e. because you are inflating both bags at the same time this equates to 6 -12 pumps per bag. The picture shows a front bag inflated with 12 pumps, it does look flat, it is meant to be! 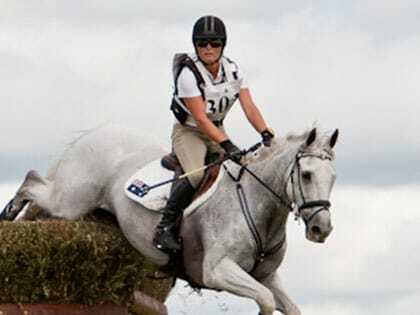 "The most interesting thing for me was that we know there is going to be pressure when we jump a horse but it was how fast that pressure was dissipated with the WOW saddle. That and how much more forward the horse was compared to what he was normally ridden in. He felt like he was enjoying it." 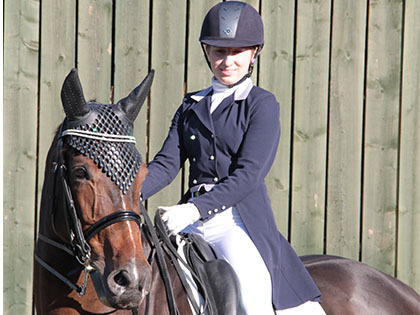 "Absolutely amazing saddles, I could not believe how much a saddle could improve Dora's movement! I can really recommend them!" "The horses are all much freer through their shoulders both on the flat and when jumping. 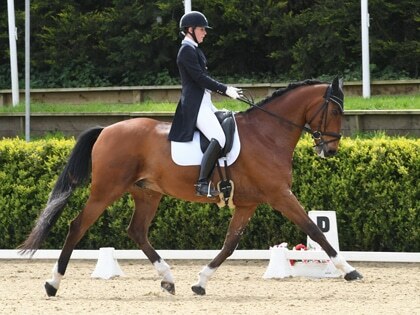 I love the ease of adaptability to fit different horses, being able to fine tune them and make subtle changes to the balance while on board which would be impossible in a traditionally flocked saddle." "WOW Saddles technology is state of the art, which helps both the horse and rider achieve maximum performance and comfort. 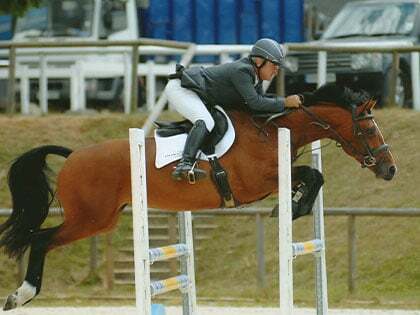 I can highly recommend the saddle to anyone who wants to get more out of your horse." "Since using WOW, Trigo, our Lusitano stallion no longer has panic attacks when being mounted or needs to be long reined before being ridden. His stride has opened up, improving his lateral work and he no longer freaks during training. He is all together a much happier horse." 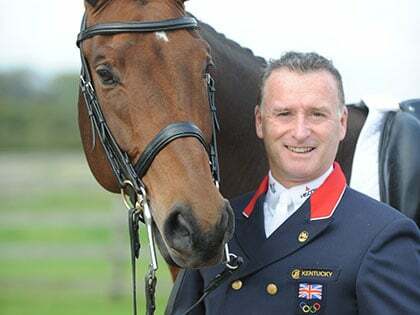 "My horses are far to valuable to me in every way, to consider using something as vitally important as a saddle, for any reason other than the horse's ability to perform to the very best of its' ability& WOW and Flair are a major step forward in the way we saddle our horses." 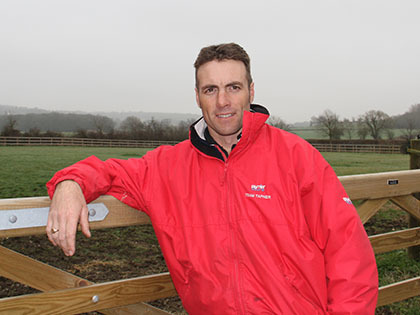 "The saddle’s Flair air flocking system is proven to be far superior over traditional wool flocking or foam, for both fit and pressure distribution, enabling the horses to perform at their best cross country." 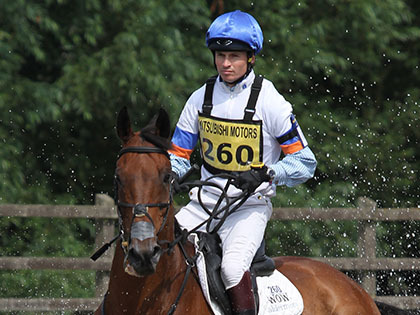 "Riding on WOW was amazing; a really different experience& He was totally free in the shoulder, totally over the back, I was almost trying to stop him and not push him& He felt completely through, a wonderful experience." "Since using the Wow saddle I have felt a huge difference in Affinity Bay's way of going. He has the ability to come up more through the shoulder which allows him more easily to come under with his quarters and 'sit' in work such as canter pirouettes."